It’s time for another blog post about my favourite cook book of all time – “Spilling the beans” by Julie Van Rosendaal and Sue Duncan. I’ve tried out several recipes from this book so far, and none has been as interesting as the “baking with beans” section. I’ve been holding off of trying to bake with beans in my kitchen, for the simple fact that I did not have a food processor. Getting married does have it’s advantages. 🙂 Now that I have one of those bad boys, I can now dive in to a plethora of bean-baked treats. In this fantastic book, Julie and Sue dive into the health benefits of combining beans with whole grains. When combined, they do your body a world of good. 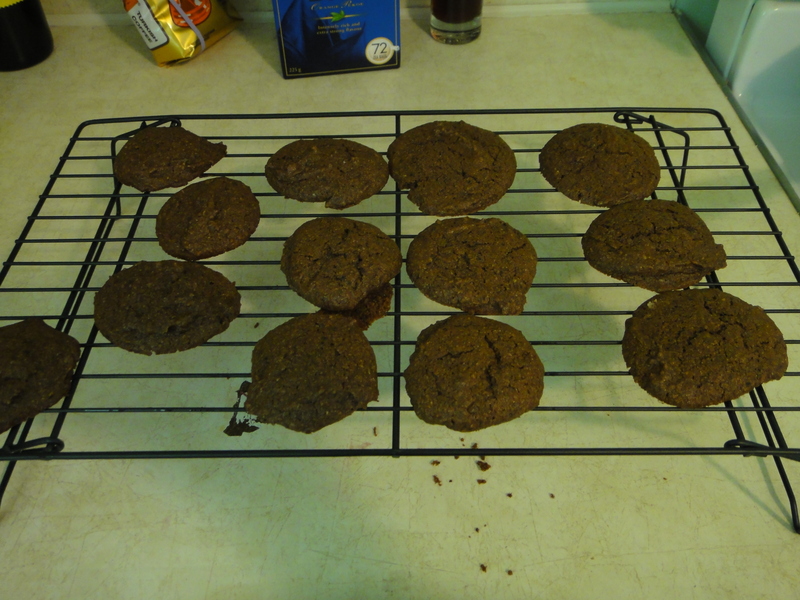 I decided to go with some entire grain flour for these cookies, to boost up the health points! 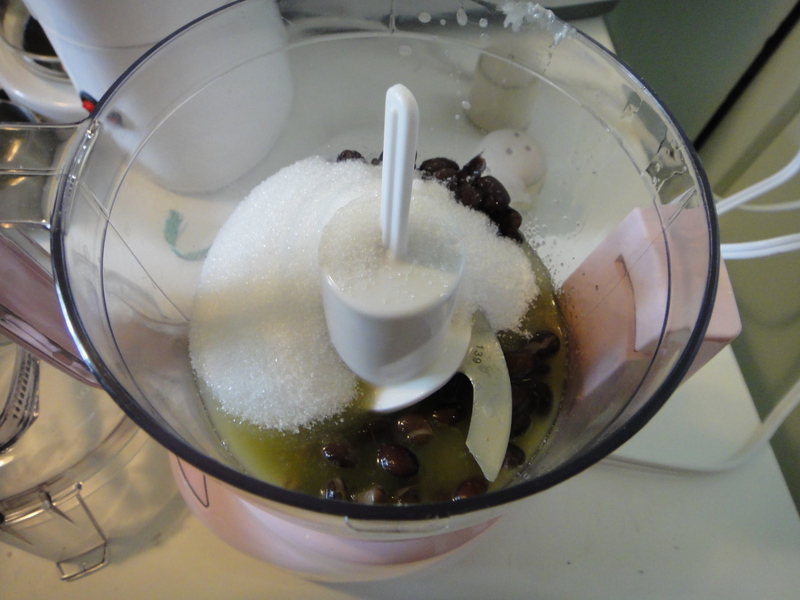 The first part of the recipe consists of combining butter, beans and sugar in the food processor until smooth. Next step is to cook the mixture for about 5-6 minutes. Next, add the molasses and let cool. 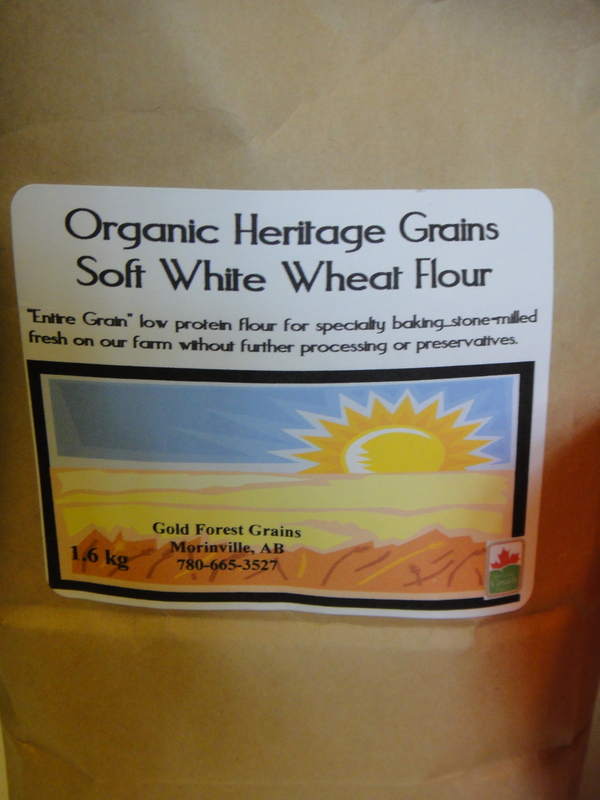 Being the cheerleader that I am for Gold Forest Grains, I used their soft white wheat flour for this recipe. It’s ideal for baking cakes, muffins and cookies, and you’re getting all of the benefits of whole grains. Combined in this recipe, you get the added benefits of protein as well! Yea, these cookies were super good for you! 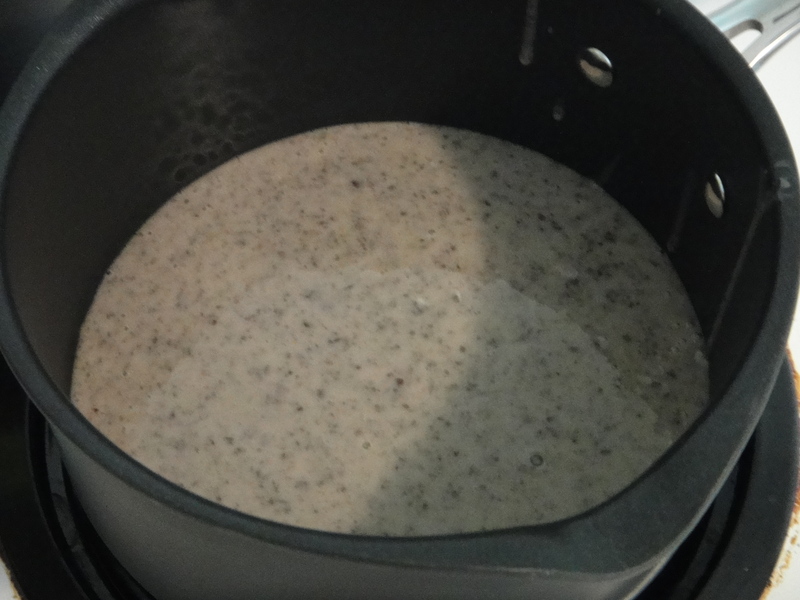 This is what the mixture looked like after having added the dry ingredients. And here they are, drying on my super cool drying rack! 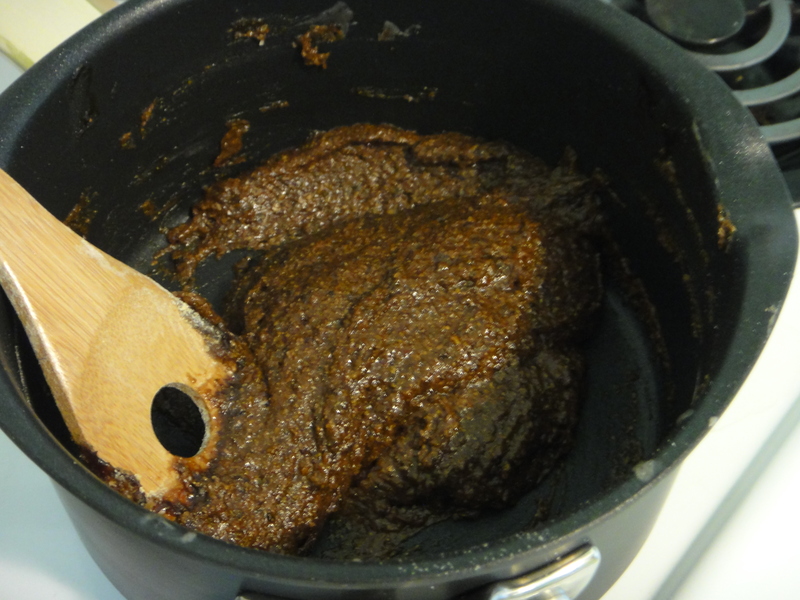 2 – 3 tsp ground ginger. Melt butter in a medium sauce pan. Process butter, sugar and beans in a food processor until smooth. Pour the mixture back into the pan and bring to a boil over medium heat, stirring constantly. The mixture will start to thicken and after 5 minutes, it will be sticky and almost gelatinous. 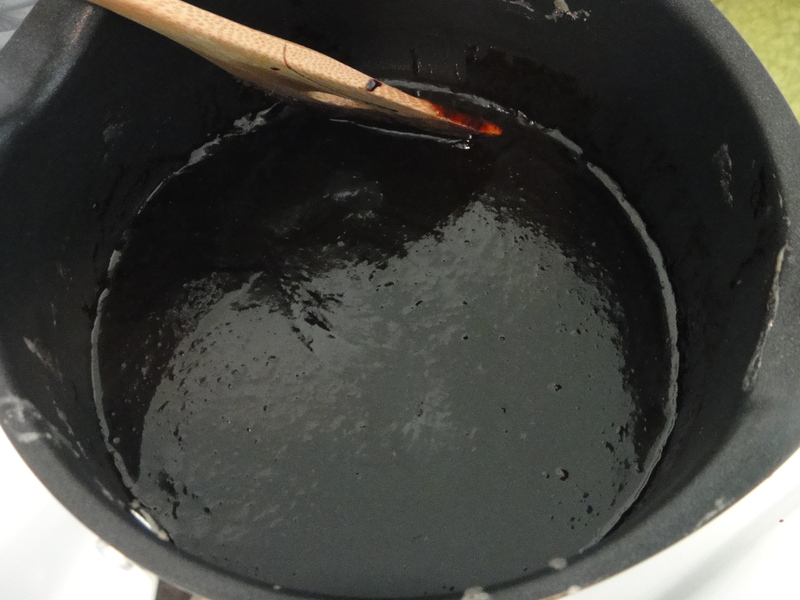 Remove from heat and stir in molasses. Let cool for 15 minutes. Preheat oven to 300. 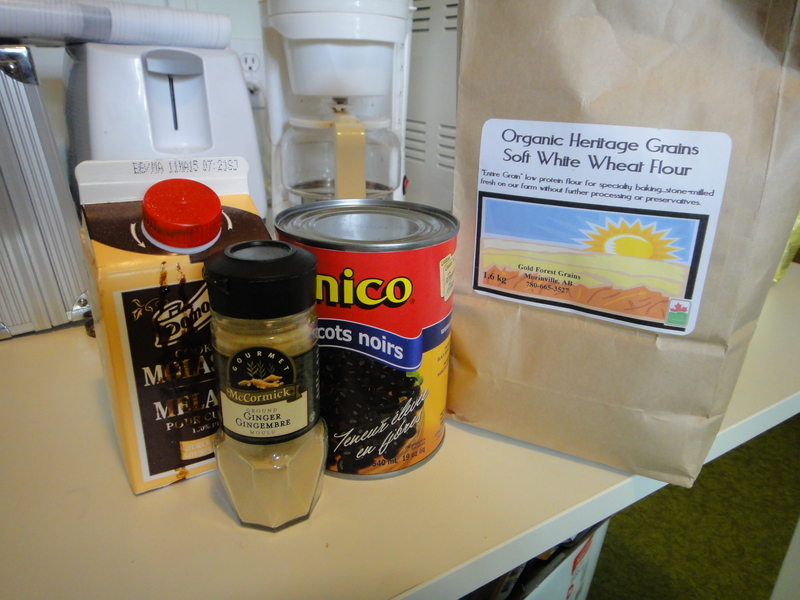 In a small bowl, stir flour, ginger, cinnamon, baking soda together. Add egg white to saucepan and stir until smooth. Add the flour mixture and stir until just combined. drop by teaspoonfuls onto a baking sheet that has been sprayed with cooking spray. Bake about 20 minutes, until cookies are set. Cool completely on a wire rack. Enjoy these healthy, delicious cookies that taste NOTHING like beans! ** I would double this recipe. It only made about 15 cookies. They sure didn’t last long! If you can get a great close up of the cookies on a plate with a glass of milk it would blow the readers away!